Starter: Collect some soil in a tub and ask students to rub a small amount into the worksheet to the right. Then write down everything that they know about soil in the bubble. Make sure you copy and paste this map next to your response for revision reference. Task 3 - Make a note of the four ways in which soil degradation can happen (see definitions to the right). Task 4 - Study the table below and take notes on the how overgrazing, over-cultivation deforestation, fertilizer & pesticide use and industrial pollution cause soil degradation. Task 5 - Take notes on the five physical causes of soil degradation as set out in the table below. Wind and water: Rain or wind blowing away topsoil and causing degradation. Biological: The loss of humus and or plant/animal life. 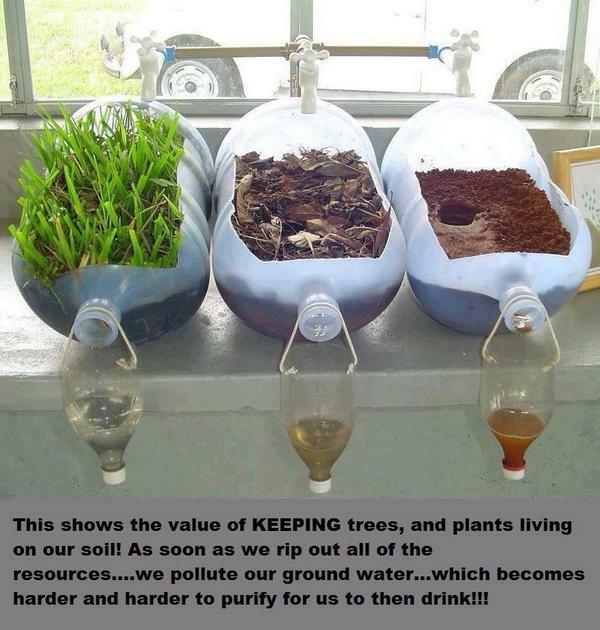 Physical: The loss of soil structure or change in permeability. Chemical: The change in the chemical composition of soil. This could be acidification, salinisation or chemical pollution or loss of nutrients. Examine the main causes of soil degradation globally and discuss to what extent they are human/physical in nature. Objective 2 - To be able to discuss the environmental and socio-economic consequences of soil degradation. Objective 3 -To be able to discuss soil degradation management strategies. You should now have a good understanding of the causes and consequences of soil degradation. You must now gather information so that you are able to discuss management strategies (like Freshwater). Task 8 - Watch the two videos to the right hand side and this six minute video from BBC Futures and make notes of the successful strategies in China and Africa. 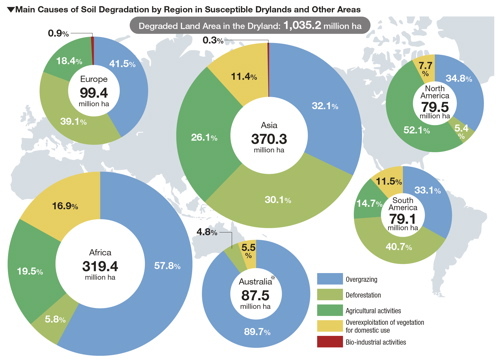 Read Geo Factsheet 191 - Soil Degradation, A Creeping Concern. Page 1-3 contains information that you are already familiar with. Turn to page 4 and read the information on 'Managing Soil Degradation' carefully. Task 9 - Complete the task above Fig.5 on page 5. You might want to screenshot the diagram and add text boxes with full descriptions of methods 1-6. Task 10 - Complete the exam question on page 5 of the Geo Factsheet using the 'Answer Guideline' to help you.